This ought to have been posted two days ago, but I’ve been far too busy procrastinating. Following a week devoid of anime reviews, last week turned out to be a bumper review week as well. I guess it’s the mediocrity of the shows that I watched that made me hesitant. Take Rock Lee and His Ninja Pals: Season 1 for example. It’s a perfectly serviceable comedy anime show, taking the goofiest character from the Naruto series, and setting him centre stage of his super-deformed world. Everyone’s short, got big heads, and everyone’s into the Manzai comedy set-up, where stupid people get smacked a lot by large paper fans. It’s funny, but it is middle of the road. Click on the review to see if it might tickle your funny-bone. 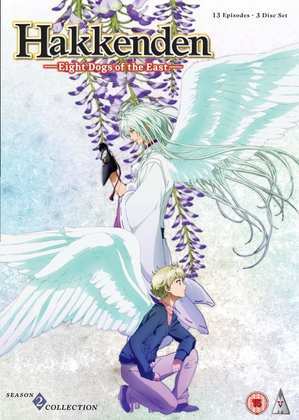 Next it was the turn of Hakkenden: Eight Dogs of the East – Season 2. The first season revealed a supernatural mystery show based on the Princess Fusé legend, that spent more time catering for the aesthetic appreciation from its target female audience, than it did developing a decent story and making the characters more than superficially interesting. 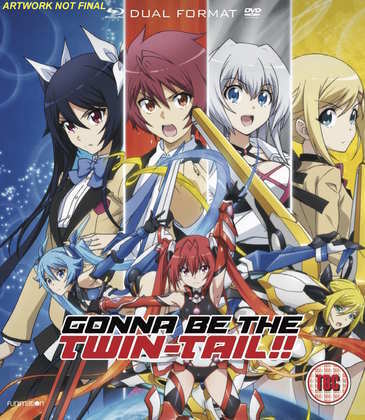 The second season continues in the same way, with the added annoyance of the main characters’ quest being resolved simply by coincidence, rather than through any effort on their part. Then I took a look at Funimation’s second toe in the UK bathtub, Gonna be the Twin-Tail. Aliens have come to steal Earth’s Twin-Tail attribute, and all that stands in their way is one teenage boy whose appreciation of the hairstyle approaches the level of a fetish. Fortunately an alien girl shows up with a bracelet of power that will give him the skills and strength to fight these aliens. Only he has to turn into a pint-sized twin-tail girl to do so. It’s your standard Power Rangers set-up, but the show succeeds by utterly believing in, and selling its ridiculous premise for all its worth. Click on the review to see why. There was one superlative show reviewed last week, and as luck would have it, Beck: Mongolian Chop Squad fell to Stuart McLean to review. It’s my own fault for having originally reviewed the abbreviated single volume release (I wound up having to import the conclusion). But this tale of a young boy’s rite of passage as he discovers rock music, learns to play a guitar, and joins a band couldn’t have fallen to a more appropriate reviewer. Read Stuart’s review to see just why, and why Beck is one of the best anime shows of the ‘noughties’. Kanon. There was a time when everyone was talking about Kanon. It was Jun Maeda’s second offering to the mainstream anime world after Air, another adaptation of a visual novel where a male protagonist has to both woo and uncover the mystery behind a cute, quirky potential love interest. The games played out with just one female character to focus on, the anime somehow had to squeeze all of the various routes in, and sometimes it didn’t work. The anime got better as time went on, and became more separate from the games. Clannad and especially Angel Beats still hold up well today. But Kanon, not so much. There are plenty of girls for protagonist Yuichi to court, plenty of mysteries to solve, and the girls are cute and quirky, one says ‘Uguu’ a lot, another says ‘Auu’, and all of them are in some way tied to this amnesiac boy. But the way that he hops from one girl to another with each seemingly inconsequential scene, the way the music comes and goes in fits and starts, the way the animation suddenly shifts to first person perspective all betrays Kanon’s videogame roots in a way that Clannad got past. It is also more glaringly obvious about manipulating the viewers’ emotions. And then suddenly it will punch you in the feels and you forgive all that. Kanon is still fun and entertaining, although time and familiarity are beginning to take its toll on its finer attributes. Also, summer is the wrong season to re-watch this winter wonderland show. Here’s my more positive review for it from my first acquaintance with the series. It’s never had a UK release. ADV started to release it in the US with single volume releases, complete with extra features. They got as far as volume 5 before they went bust, and Funimation picked up the Sojitz licenses. 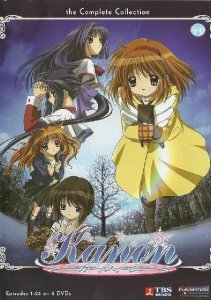 Funimation actually did a limited volume 6 for fans who were collecting them singly, but they quickly turned around, stripped out the extras, and put Kanon out in a full series collection, just four discs, and that is still available today if you choose to import from Region 1. 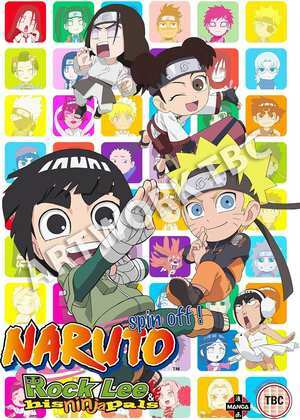 Manga Entertainment released Naruto: Rock Lee and His Ninja Pals – Season 1 on DVD on September 12th, and that’s when MVM released Hakkenden – Eight Dogs of the East – Season 2 on DVD and Blu-ray. 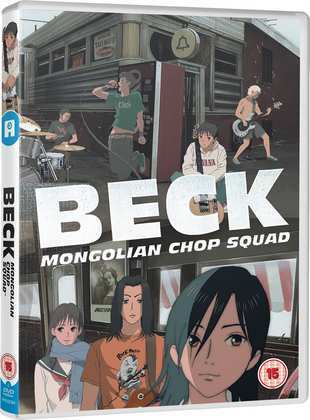 All the Anime released Beck: Mongolian Chop Squad: Complete Series Collection on DVD on Monday just gone, while Funimation will release Gonna Be The Twin-Tail!! on BD/DVD combo edition on October 10th. Yes, it’s been delayed again.